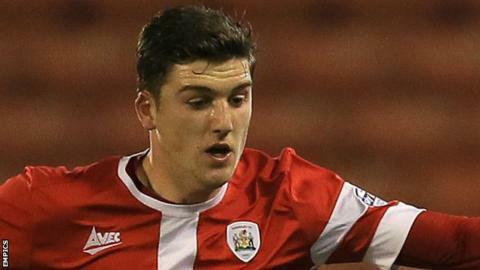 Oxford United have signed striker George Waring on a one-month emergency loan from Premier League Stoke City. The 21-year-old made 19 appearances during a loan spell at Barnsley last season and scored six goals. "George has been on a lot of people's radar for a while. He is a good player and has a physical presence," boss Michael Appleton told the club website. "He provides us with a different sort of threat and a bit more competition for places over the next month or so."